Healthcare and pharmaceutical events (of all types) are critical to the future development of the NHS and healthcare services. Bringing together healthcare professionals to ensure they are equipped with the knowledge necessary to maintain a high level of service stretches from secretaries and finance executives to doctors and surgeons covering all kinds of avenues. Informing healthcare professionals about a new drug or device, developing hospital policies and addressing specific problems in the wider healthcare sector are only a few reasons as to why healthcare conferences take place. Each are equally important and allow healthcare professionals to come together to share ideas and primarily, drive the healthcare sector forward. “Healthcare Conference” is a broad term and covers an almost infinite spectrum of different events ranging from condition specific study days like The Bedford Diabetes Study Day to new product launches or research and development events like The Annual NHS R&D Forum. Conferences- Potentially to discuss legislation, healthcare processes or funding to identify primary issues and convey a strategy in which to overcome them. Workshops- Workshops are often put in place to encourage cultural change, promote leadership and development, instigate healthcare reform or even identify positive changes in healthcare management. Study Days- As with the previous example, there are often condition or disease specific study days, allowing professionals to come together to discuss a specific set of issues or developments around that condition. Training- Potentially aimed towards refreshing or standardising a workforce’s knowledge around particular legislation or certifications. Courses- Course surrounding medical specialities, allowing professionals to become expert in a specific area or condition. Some event types even have a series of events that would usually take place. For example, during a new drug life cycle there would be various meetings at the research, launch and maturity stage to discuss the marketing, product training and evaluation of the drug. Each and every type of healthcare event is different and aimed at a specific audience of medical professionals with a set of objectives in mind. Nonetheless, all healthcare events need a venue with, at times, quite specific facilities and processes in place. There are also a number of things to consider when organising a healthcare or pharmaceutical conference including budget, the growing number of regulations surrounding how budget can be spent and the specific facilities a conference venue needs in order to be considered compliant for the healthcare industry. Healthcare conferences and events are an unexpectedly large sector with around 100,000 events staged each year and an annual spend of approximately £378 million (1). However this clearly isn’t (or shouldn’t be) as a result of ‘unnecessary’ luxuries or decadent venues which must not exceed a level that the recipients would normally be willing to pay themselves (2). With the current lack in funding for the NHS and the healthcare sector as a whole, it is more important than ever to get value for money and make the most of your budget. However, keeping the costs of healthcare events down is more than just ‘saving pennies’. Regulatory codes are increasingly tight and the pressure to deliver code compliant meetings is ever more challenging meaning finding appropriate venues is too. A Facilitator: Do you have someone who can lead the training event or conference and be relied upon to deliver all of the information required? Having an experienced speaker or facilitator can make the world of difference to the success of your event and is something highly recommended as part of your budget. Transport: When holding a particularly large event (as many pharmaceutical events are) transport and logistics can be particularly challenging to organise and expensive to pay for. Minimising transport as much as possible, by ensuring the conference venue is located in an easy access area with good transport links, is a must. Accommodation & Refreshments: Medical and pharmaceutical events are rarely shorter than a day and so ensuring your delegates have access to suitable refreshments and, in some cases, a place to stay is crucial. This again can often mean sourcing things from a multitude of suppliers which is often not only more expensive, but harder to organise. Aim for a conference facility that is able to provide all of this under one roof, like Lane End Conferences! Strict ABPI legislation surrounding conference and promotional events in the healthcare sector is an increasing challenge for event organisers. Finding one suitable has become one of, if not the most important part of organising a healthcare conference or event. Luxuries or added touches such as swimming pools, spas or golf facilities can all be seen as an incentive or ‘mask’ to the true purpose of the event and are prohibited when a conference is fully or even part funded by the NHS or a pharmaceutical company. The venue itself is not the only thing an event organiser must take into consideration when organising a healthcare event. Limits on the cost of food functions also apply and can be profusely challenging when trying to organise catering with a limit as low as £23 per head. The venue must be considered appropriate at all times to the main and sole purpose of the event, meaning companies must not sponsor or organise entertainment. This would even extend to hotels or conference venues which are ‘well known’ for their entertainment and leisure facilities. Any hospitality provided must not extend to the spouses or partners of the medical professionals attending. Any hospitality provided must not exceed a payable amount that the delegates would be willing to pay themselves. The meeting must have clear, educational content not outweighed by the venue or facilities themselves. This is just a small snippet of the regulations within medical and pharmaceutical sector, demonstrating how challenging it can be to find a venue that is suitable for such events. Lane End Conferences has experience in accommodating for the healthcare industry in particular and are able to provide itemised invoicing, low cost food, and closure of any leisure facilities on site which may be considered inappropriate or distracting. For more information on healthcare conference regulations please take a look at this blog. What To Look For In A Conference Centre For Medical Events? With the ever-increasing number of regulations surrounding medical conferences it can in most cases be difficult to comprehend what you should be looking for in a conference venue. It is also easy to allow these regulations to overshadow choosing a venue that your delegates will enjoy, enhancing their learning experience and improving their engagement. The below takes the previously discussed medical venue regulations and pairs them with things to look for in a conference venue for medical professionals. Present the venue as a location for nothing more than a meeting/conference/professional event. Use a venue that can’t be misconstrued as a mask to the event’s real purpose or be seen as luxury venue. 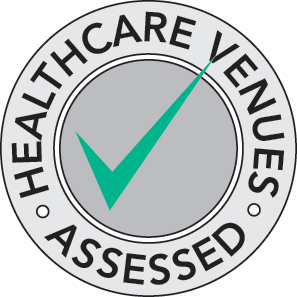 Ensure that the venue chosen is compliant and able to hold medical conferences and events. Think about where the venue is located and whether the surrounding areas could be considered an incentive or distraction. Look for a venue that offers facilities to accommodate a professional, learning environment e.g. high grade WiFi, additional seminar rooms, or even just flipcharts and stationary. Look for a venue that prides itself on its meeting facilities over anything else. Dedicated conference and training facilities are often the best options as they have little in the way of distractions and concentrate on the learning experience itself. Look for a venue that offers privacy, exclusivity and that isn’t a distracting environment as a result of leisure facilities. Chose a venue located in an easy to reach location, accessible from motorways while also ensuring there are little leisure facilities or distractions nearby. Accessible parking is also something that should be considered. You want to spare attendees the stress of looking for somewhere to park. For more information on what to look for in a healthcare conference venue please take a look at this blog. While there are clearly things to look out for when booking a conference venue for a healthcare event, there are also things that should be avoided in order to comply with ABPI regulations. In isolation, it would be relatively easy to find a venue that doesn’t have a spa or golf course but when all of these facilities are put together to make a prohibited list you could be faced with quite a challenge. See more here for what you should avoid in a healthcare conference venue! There are ways around this of course, for example if a venue were to completely close or restrict access to the facility in question it would become much less of an issue. Unfortunately, that isn’t always a viable option, particularly when the venue is also accommodating for the general public, like a hotel for instance. Our previous blog 5 Reasons Why Hotels Don’t Make Great Training Venues highlights the key differences between hotel conference facilities and those of dedicated facilities. Quite often when using a hotel conference facility you are faced with rooms that aren’t made for holding conferences or training events and any number of distractions, usually involving leisure facilities or other guests staying in the hotel. Unfortunately, it is unlikely you will find a hotel that is willing to shut its pool, spa or gym in favour of holding a healthcare conference. Sadly, this often makes hotels unsuitable. Why Is Lane End An Ideal Healthcare Conference Venue? Complying with industry regulations, looking for an enjoyable venue and ensuring your delegates are provided with everything they need is rarely enabled all in one conference venue. Lane End Conferences however offers an ideal solution for medical and pharmaceutical conferences. 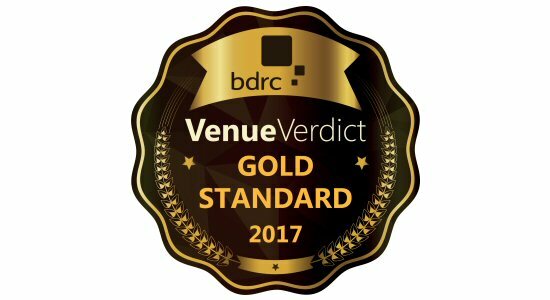 Unlike many venues often used like hotels, our facilities are purpose built for professional events and conferences and so accommodate the requirements of such events to a high standard. All of our conference rooms and buildings have access to high grade WiFi, naturally lit rooms, state of the art technology and dedicated dining facilities, meaning you can source everything you need from a single supplier. The selection of self-contained conference buildings means any medical event has the privacy and, in most cases, exclusivity required. Distractions are also removed, as the purpose of your event remains the primary focus. While Lane End Conferences does have access to leisure facilities including a gym, they are by no means the focus of the venue and can quite easily be closed to avoid distraction. Lane End Conferences’ facilities do not include a spa, swimming pool or golf course meaning the event will be the sole focus without any incentives masking the purpose of your delegates being there. With extensive experience in accommodating for the healthcare sector, and having been Healthcare Venue Assessed in 2017, Lane End Conferences can be flexible when it comes to supplying food and refreshments to meet specific allowances. We are also able to provide breakdown rates for accommodation, food and conference facilities for completely transparent billing. For more information on Lane End Conferences’ facilities and our experience with working with the Healthcare and Pharmaceutical industry please get in touch here or call us on 01494 881 171.